I've opted for a nice healthy themed week in both planners this week. 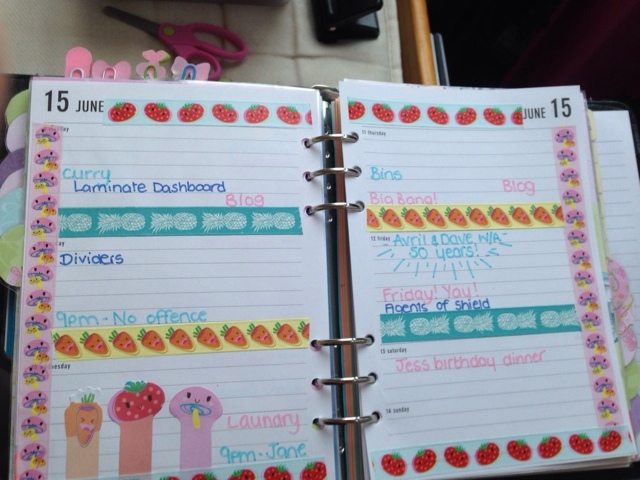 Although there's a theme across both planners, I've used different colours and tapes too. It's a rather quiet week this week, which should give me plenty of time to prepare supplies for my work planner this week: everything is all laid out ready! My A5 has Paperchase tapes and matching sticky notes. I thought the mushrooms were jellyfish initially, and as such they really makes me smile. 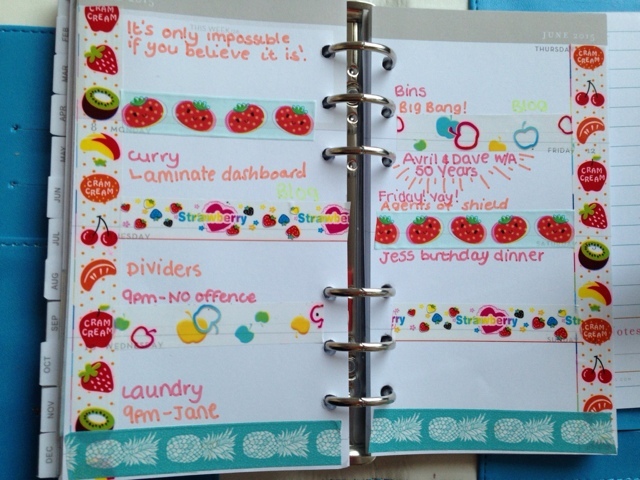 My websters planner is a bit more colourful, with some washi Mr S bought me. I'm totally loving this planner, now I've had a chance to play with it for a bit I'll be able to do a post on it. Whatever you're doing, have a good week doing it!